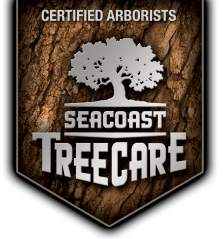 Seacoast Tree and Turf Care, LLC is seeking a Turf Care Technician. At Seacoast Tree and Turf Care we’re dedicated to restoring, maintaining and conserving diverse landscapes through New Hampshire, Maine and Massachusetts. Applicants must be passionate about turf and lawn care, not just interested in a job. Applicants must have high personal standards for themselves and the company they work for and be comfortable working with the Seacoast Tree and Turf Care team to achieve the company’s goals. Applicants must possess a valid driver’s license and a current DOT Physical card, be able to obtain and maintain a first aid certification and a pesticide applicator certification in MA, NH and ME. Applicants must be willing and able to work outdoors under varying and sometimes adverse weather conditions and be able to perform moderately strenuous tasks. Applicant also will be required to mix, load and apply pesticides and fertilizers while wearing the appropriate PPE. Additional job responsibilities include, but are not limited to, reading and understanding purpose for chemical applications, being aware of and utilizing compatible chemical mixtures, keeping up-to-date on the latest revisions with EPA and Dept. of Agriculture in local jurisdiction, being proficient in techniques to apply specific chemicals and surveying areas to be sprayed/treated. Applicant must be able to follow company guidelines and act in a cooperative and professional manner when communicating with clients on and off site.